I waited a long time before giving Robert a try. This restaurant from the team behind Martin (Loïc Martin & Edouard Bergeon) opened in February 2018, but early word-of-mouth reviews were very mixed. A common refrain was “it’s expensive for what it is.” The price for dinner is 50€, whether you order three courses à la carte or select the five-course tasting menu. That’s right in line with the prices at Le Servan and recent east-side openings like Le Rigmarole, Eels and Vins des Pyrénées. Realistically, this is the new price for dinner in Paris. Gone are the days when most bastions of bistronomy were charging 35€ for three courses. If we’re asked to accept 50€ as the new standard, the question becomes is it worth it? Robert is, or at least it was on a recent visit when I found three different dishes to be moaningly delicious. 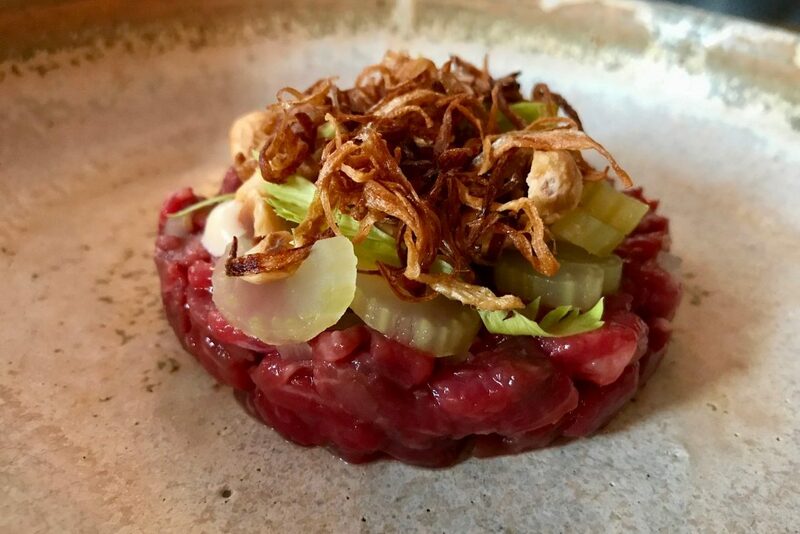 The first winner was a tartare of beautifully aged beef with dots of black garlic mayo, crunchy hazelnuts, crisp celery, and fried shallots. 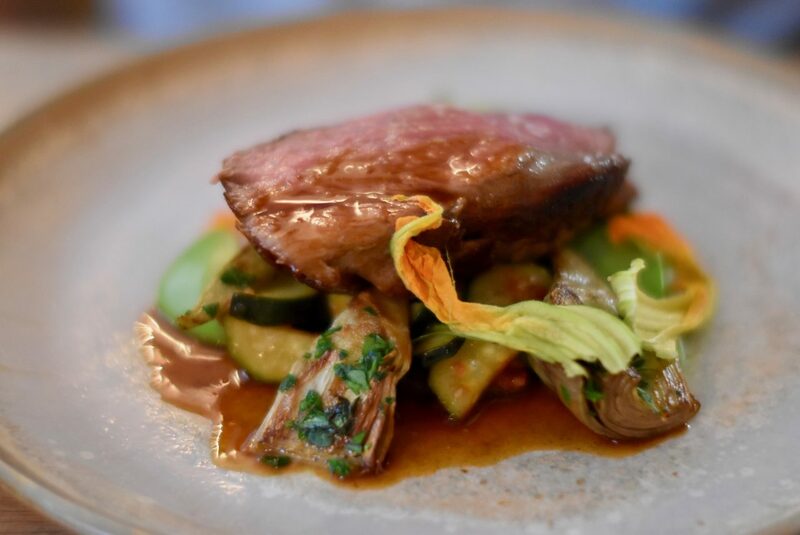 Chef Peter Orr has a strong background in Thai cuisine (Nahm in London), and that sensitivity to balancing flavors and textures has dramatically improved this traditional French dish. The next winner was a plate of farm-raised pork garnished with crumbled boudin noir and crowned with a bite of pork crackling. 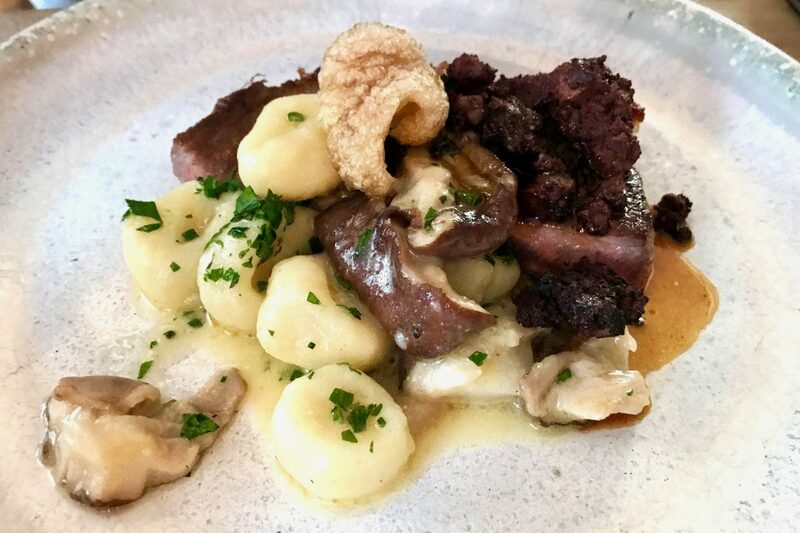 A smattering of silky soft gnocchi and porcini mushrooms completed this earthy, sensual dish that had everyone at the table fighting for last bites. 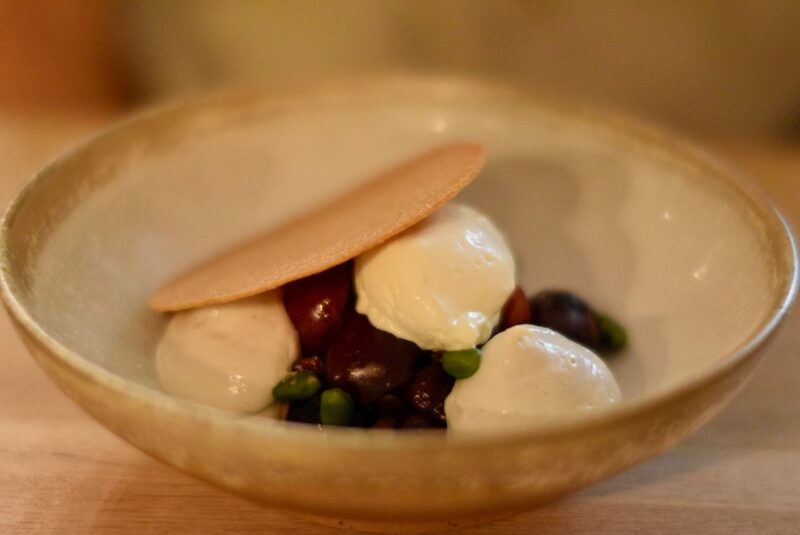 Among the two desserts tasted, the stand-out was a pistachio sablé with cherries, pistachios, and cherry pit ice cream. It’s a wonderful treat to finish with something so skillfully balanced and so worked. Orr is quick to credit his teammate Mark Malden for contributing to that dish, as well as his girlfriend Quina Lon, a pastry chef who made memorable desserts at Au Passage and Martin before opening Muscovado with her sister. Orr and Lon often discuss and test dessert recipes together and she makes all of Robert’s ice creams at Muscovado. This passion for pâtisserie really sets Robert apart from the vast majority of modern restaurants who have abandoned crusts and are now content to just scatter crunchies on top of smears. In conclusion, Robert was totally worth the 50€ price tag on the night of my visit. I gather from friends’ reports that this hasn’t always been the case. I’m not sure whether it’s a problem of consistency or whether the kitchen (which also includes Lionnel Benjamin and Iresh Warnakula) is just now hitting its stride after being open for four months. Let’s hope it’s the latter, because I want to return again and again. Hours: Open Wednesday-Saturday for lunch & dinner. Closed Sunday, Monday & Tuesday. Fulgurances (2018) loves the dining room and the gleaming kitchen. 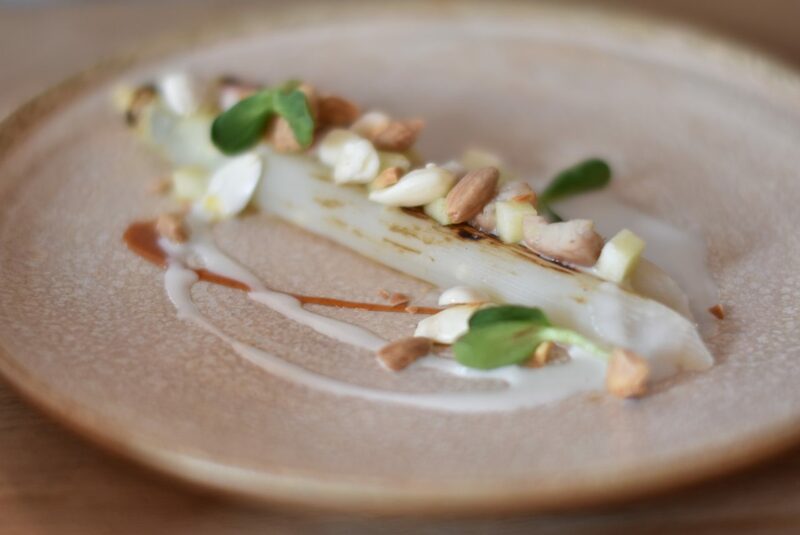 They rave about the beef tartare and pork dishes noted above, as well as a dish of white asparagus with smoked eel and apple. They also note (and I agree) that has become rare in Paris, with the proliferation of new addresses, to immediately want to come back. Lucky Miam (2018) recommends the perfectly balanced beef tartare with burnt onion cream and the gnocchi with artichokes and smoked ricotta. 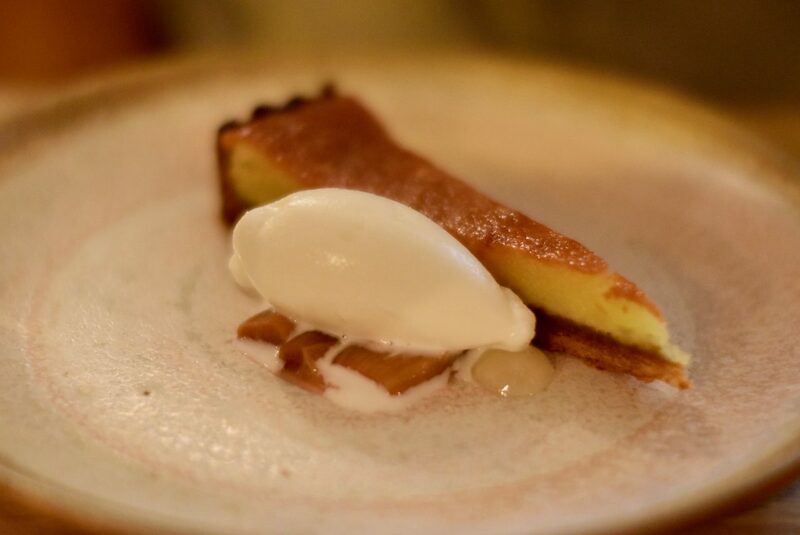 They also rave about the desserts, including an apple tart with an almond tuile and hazelnut ice cream.